The Open Door Classroom: Christmas in July and Dollar Days Sale! Christmas in July and Dollar Days Sale! I absolutely love all things Christmas, so when I heard about the Christmas in July sale, I just had to join in on the fun! From today until Friday, all SEASONAL items in my TpT store are 20% off! Just click the picture above to be taken to my TpT store. I wish you a Merry Sale! Do you want to participate? 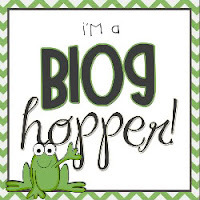 Quickly link up over at Blog Hopper and let everyone know! I'd also like to announce the first ever Back to School Dollar Days sale...with a $75 Gift Certificate to Really Good Stuff to boot! This Sunday, July 29th and Monday, July 30th, join us on the Cloud for an amazing sale and giveaway! 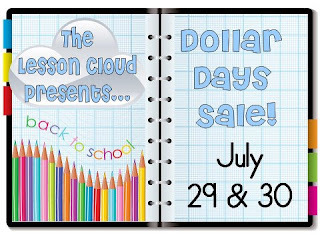 The Lesson Cloud authors have put together an amazing list of hundreds of items for just $1 or $2!! Stock up on all your Back to School needs for just $1 or $2 each. Plus, once you've stocked up, enter our $75 Gift Certificate Giveaway to Really Good Stuff!! Couldn't you use an extra $75 to start off the school year? I will be announcing my $1 and $2 items on the 29th... stay tuned! Keep watching The Lesson Cloud blog, The Lesson Cloud Facebook page and The Lesson Cloud Twitter feeds for more! All Sorts of Word Sorts!